Living in paradise, you should not have to worry about finding places to handle your business affairs, while enjoying your social life. At Mercato, the two blend seamlessly together. When you live at Residences at Mercato, not only will you be able to enjoy world-class dining, shopping and entertainment, you'll also be able to handle your business responsibilities without ever having to leave Mercato. When it comes to having the best of both worlds, look no further. Work and play without leaving Mercato. 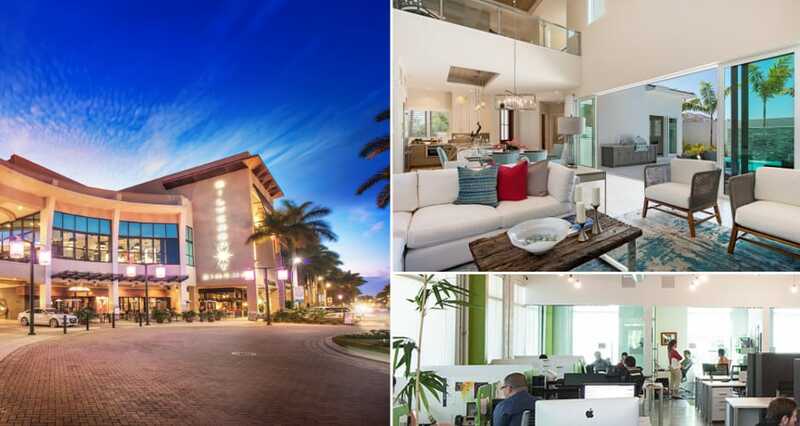 If you're visiting our sunny Southwest Florida community for a few months, you may be wondering where you'll be able to handle your business ventures. You may be considering an office space in the area, so you can meet with clients or conference-in back home. Mercato provides a great place to do so, out of Venture X. Venture X is a new way to increase productivity; consisting of private offices, virtual offices, community workspaces, meeting rooms and more, Venture X works for any business venture, and it's only a short stroll from your Residences at Mercato home. Grab a cup of coffee on the way to meet with a client or attend a video conference with your team up north. Anything is possible. When your guests visit to escape the chilly winter weather, your options at Mercato are limitless. Start with cocktails at your Residences at Mercato home in your private outdoor living area as you take in the beautiful Southwest Florida sunset. Then, off you go to enjoy dinner at one of many options at Mercato, just moments away. • Cohen & Grisgby, P.C. • Wicker, Smith, O'Hara, McCoy & Ford, P.A. Some of these firms have offices in various locations across the country, and being able to stick with one firm is a possibility, so that you can have a team behind you that you can trust, no matter where you are in the country. There's no need to leave your home for a relaxing night when you live at Residences at Mercato! Simply order a bottle of wine and delicious cuisine from Whole Foods. Pour a glass of wine and unwind in your tranquil master bath or enjoy the spectacular weather in paradise in your lush outdoor living area. Your financial endeavors are in the right hands when you live at Mercato. Living and working at Mercato blend together with ease. Know that your business affairs are handled close to home, while you enjoy your time in paradise. Live the Mercato lifestyle as you take advantage of all that this highly sought-after community offers and live your best life at Mercato.